Nermin at WorkWell. Photo by Ihsan Ibraheem/Preemptive Love Coalition. Nermin and her sisters were torn from their life in Syria in 2011 when the civil war erupted. Her parents sent their girls ahead to relatives in the northeast of the country, to keep them safe from the killings, kidnappings, and destruction. Away from the only home they’ve ever known, Nermin and her sisters had nothing. On top of political strife and the threat of ISIS, they lost family to illness, her father lost his job because of injury, and they had to move again to Iraq so he could find work. Being taken out of high school was a devastating blow. Nermin badly wanted to go to university, but not completing high school meant it wasn’t an option. When Nermin came to our tech hub, she joined hundreds of refugees and the internally displaced looking for a future in the possibilities afforded by the digital world. Here, Nermin and others like her can find alternatives to the traditional paths that were closed to them because of war. Students go on to become coders, entrepreneurs, and freelancers. For many, graduating and finding a job through the program is their first hopeful step forward. Education is transformative. It enables us to step beyond our limitations. 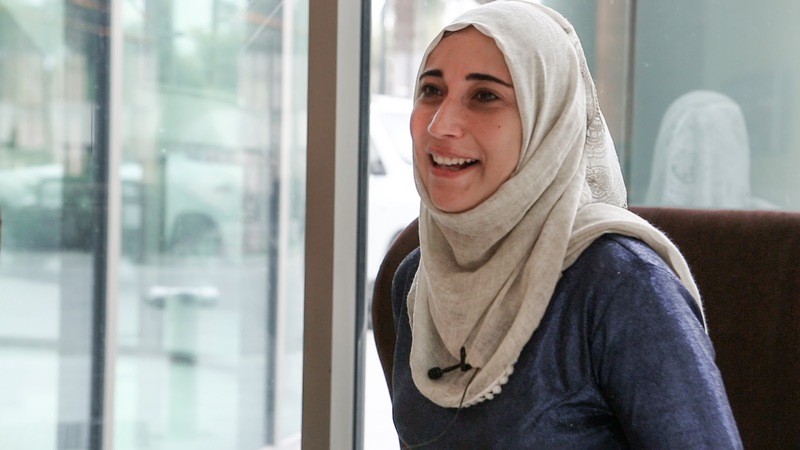 Nermin credits the tech program with giving her the support she needed to heal from the wounds of war, and finding the power to raise her voice, so the world will hear her story. This year, more students than ever are joining our tech program to rebuild their lives through education and work. Every dollar you donate is a step towards hope and healing for refugees. By becoming a monthly donor, you make sure that our refugee sisters can finish their education, and find the jobs that they need to remake their lives. Give today and help Nermin bring her voice to the world.